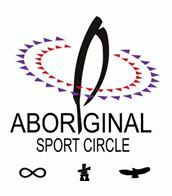 ASC's Leadership and Participant Development (LDP) Coordinator announced | Manitoba Aboriginal Sports and Recreation Council Inc.
from September 6, 2017 to March 31, 2018. Canadian Parks and Recreation Association, Canadian Association for the Advancement of Women in Sport and Equestrian Canada. administrative and logistic support to the 2017-2018 ASC Coaching program projects, as required and in cooperation with CAC. administrative support with the 2019 AACP as required and in cooperation with CAC. administrative and logistic support to the 2017-2018 ALTPD program projects and the launch of the ASC Competition Review, as required and in cooperation with S4L. support to develop the short, medium, and long-term strategies for the meaningful inclusion of Aboriginal peoples (coach, athlete and official) in the Canada Games. a supporting role to the Executive Director for the ASC’s anticipated future partnership with Parks and Rec, INAC and others. Please join me in welcoming Isabelle to the ASC family.